A recent report from the Family Caregiver Alliance, “Family Caregiving 2011: Year in Review,” shed some light on family caregivers and some of the challenges they face. While most consider family caregiving a personal responsibility, many find the obligations difficult to fulfill. ClearCare is happy to help such families by providing a top-notch homecare system and dependable homecare software. 1. 1/3 of California caregivers live with the care recipients, providing 36 hours of care each week. Only 7.4 percent report being compensated for the care they provide, and 20 percent admit spending more than $250 of their own money on caregiving in the past month. 2. 17 percent of the American full-time workforce are caregivers, amounting to an estimated $25.2 billion in lost productivity. 3. 47 percent of single female seniors are economically insecure, while more than half of all seniors of color do not have the necessary resources to support themselves as they grow older. Using an in-home caregiver and homecare software program gives individuals the time they need to find work. 4. An average caregiver aged 50 or older who quits working to be a full-time caregiver will lose out on $303,880 worth of wages, Social Security, and pension benefits. Families who rely on in-home caregivers and a secure homecare system need not worry about such missed opportunities. 5. In one study, out-of-pocket expenses for cancer patients totaled $1,266 a month with prescription medication representing the largest expense at $523 each month. 47 percent of participants admitted using all or part of their savings in order to cover costs. 30 percent did not fill their prescriptions, 20 percent took less than prescribed, and 40 percent borrowed money to pay for their medications. 6. 93 percent of caregivers report using their personal income to help pay for care, 72 percent personally provided care in a loved one’s home, 53 percent brought their loved one into their own home, and 48 percent used their personal savings to cover costs of care. ClearCare’s homecare system and homecare software are both affordable and time-saving so needless spending will not be necessary. 7. Among the individuals aged 80 and older who live in the community, women were more likely than men to need assistance with personal care activities. Of these daily activities, women were more likely than men to need assistance with bathing and showering, dressing, and eating. With ClearCare’s reliable homecare software, caregivers can easily track such activities and update family members when each task is complete. 8. The national average cost of nursing home care is 241 percent of the average annual household income of older adults. 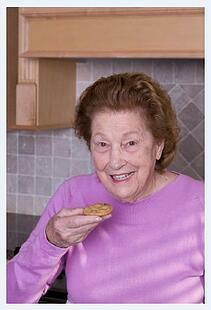 Thankfully many older adults are able to “age in place” at home with the help of ClearCare’s homecare system. 9. The health impact on the estimated 15 million Alzheimer’s and dementia caregivers is extreme. 60 percent report high levels of stress and 33 percent suffer from depression. Many families have found relief by hiring professional caregivers to ease the burden of care. Caregivers who rely on ClearCare’s homecare software are able to communicate with family members, doctors, and other health professionals. 10. A study of 30 spousal family caregivers for seniors with mild cognitive impairment found that the daily challenges of caregiving not only increases the level of cortisol, but that caregivers also had slower rates of decline of their cortisol levels. Further studies have discovered even more mental and physical strains as a result of caregiving. As these facts show, there is certainly a need for reliable homecare alternatives. ClearCare’s homecare system is the most effective solution for overworked family caregivers. Read the FCA’s full report,“45 Facts on Family Caregiving” for more information on caregiving.